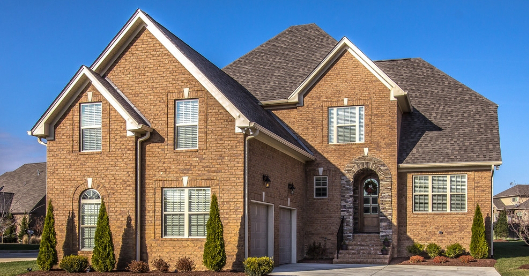 Welcome to The Arbors at Autumn Ridge Homes for sale Spring Hill TN! Development by Don R. Cameron, The Arbors at Autumn Ridge subdivision is an upscale single-family home development featuring all-brick, custom-built homes at an affordable price. At build-out, the community will include approximately 400+ quality-built homes by several notable custom builders. Homes feature high-quality finishes, hardwood floors, granite counters, high-end fixtures, custom woodwork, and more. Imagine being able to purchase a brand new, custom home with all the above bells and whistles without breaking the bank! Prices for Arbors at Autumn Ridge homes for sale Spring Hill TN range from $350,000 – $460,000 with the average home size around 3,000 Sq.ft. Arbors at Autumn Ridge builders include Arnold Homes LLC., Clark Custom Homes, Firm Foundation, Landmark Building Company, Meadowbrook Co. LLC., and R.G. Custom Homes. Arbors at Autumn Ridge homes for sale Spring Hill features include granite counters; vaulted, coffered, or trey ceilings; tiled master showers; sand/stain hardwood floors; stainless steel appliance package; custom millwork; porches, patios, or decks; all brick custom homes; unique floor plans; custom design landscaping; carriage street lighting; and front or side entry garages. The community includes a picnic pavilion and children’s playground. Arbors at Autumn Ridge homes are served by the highly acclaimed Williamson County Schools. Students attend Longview Elementary School, Heritage Middle School, and Independence High School. Future homeowners will enjoy convenient access to nearby Publix; dining and shopping in The Crossings; the family-oriented activities offered at Longview Recreation Center; and the I-65 corridor and Cool Springs. Brian brings a wealth of knowledge, experience, and expertise to every real estate transaction and will be your guide and adviser throughout the home buying process! Work with Brian Patterson for unmatched expertise -- the best real estate agent serving Spring Hill home buyers and sellers! Please give Spring Hill REALTOR® Brian Patterson, a call today at 615-438-4941 or fill out the online contact form, and he will be more than happy to answer any questions you may have!